Unbelievable Door County sunsets sink every evening into the Bay of Green Bay. Found along Door County’s western shore, the Bay of Green Bay hosts spectacular limestone cliffs, pockets of sand beaches, and rocky shores with deep harbors. You are sure to enjoy boating, the scenic islands, swimming, and wind surfing on the Bay. Villages along the bayside of Door County are Egg Harbor, Fish Creek, Ephraim, Sister Bay, Ellison Bay, and Gills Rock...all have varying shorelines. Areas with sand beaches include North Shore Road and Water Street in Ephraim, as well as some areas along Bayshore Drive in Egg Harbor. You'll see Hat Island from areas along Whitecliff Road, Chambers Island from Cottage Row Road, Main Street, and Dock Road in Fish Creek, and Roads such as North Shore Road and Water Street in Ephraim offer views of both Chambers Island and Horseshoe Island. Sister Bay properties along Bay Shore Drive and Beach Road view the Little Sister Islands (some even see Chambers Island). The Door Peninsula's bayside is the most populated side, so the majority of the properties available have been built on. You'll find the majority of vacant shore parcels on this side of the peninsula in Egg Harbor and south and north of Ellison Bay. 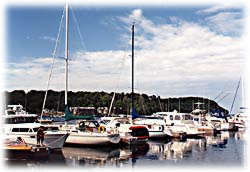 You'll find large marinas in Egg Harbor, Fish Creek, and Sister Bay. 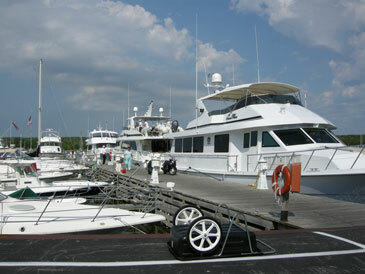 Smaller marinas are in Ellison Bay and Gills Rock.